6:30 a.m. - 12:00 p.m.
Rock music fans have been asking for it for years…. 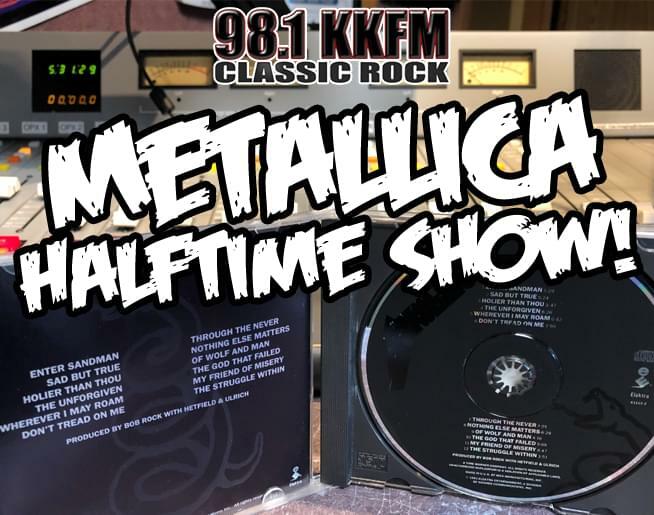 Instead of Maroon 5 and other lame acts, when you run out for beer or more grub at half-time on Sunday, tune into 98.1 KKFM. All Metallica. The entire time. Live stuff. Heavy stuff. All Metallica.